A couple of hours of practice time gave those drivers who only visit ‘America’s Home Track’ on Labor Day weekend as well as those who have never visited the facility the opportunity to reacquaint themselves with the high banks. As we all hoped, there were no major incidents during the hot lap sessions. 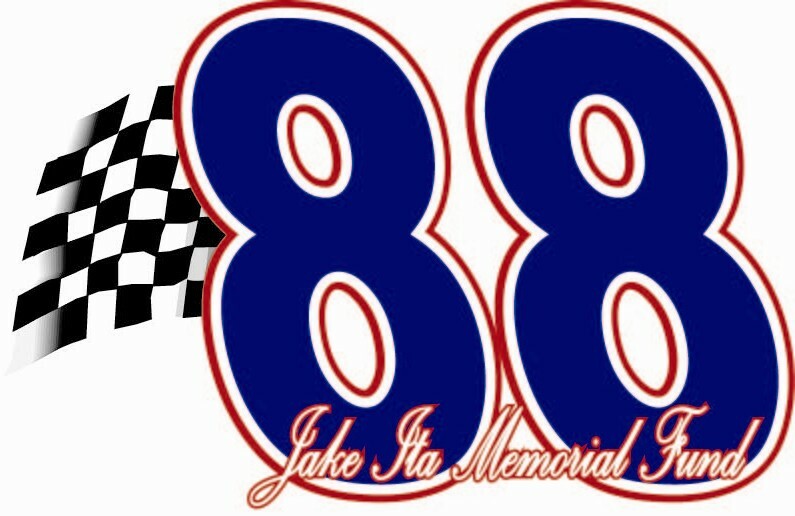 To finish off the evening, the 5 qualifying heats to set the field for the Jake Ita Memorial Race of Champions were run. The top 20 after finishing positions and passing points are calculated will make up the field with the race being run after the A Feature on Saturday night. Winning those heats were Zach Blurton, Andy Shouse, Jason Martin, Jake Bubak and John Carney II. Action kicks off in earnest tonight with the first qualifying heats and features for Sunday’s finale. Those who finish in the top 9 of the A Feature this evening will make up the first 3 row of the ‘Big Dance’ on Sunday when the field lines up 3-wide to chase the top prize. Also, the ATV Motorsports IMCA Sport Compacts will be there as the support class. Grandstands open at 4:30 with hot laps starting at 5 PM and racing beginning at 6. Adult front gate admission is $13, youths 6-12 are $5 and children 5 and under are free. Pit gates open at 3 PM with pit passes costing $25. A 3-day pit pass can be purchased for $75. After the races there will be a pit party, featuring Bad Apple providing the entertainment. Replays of the night’s action will be shown and the infamous Melon Bar will be open! Zach Blurton Quinter, Ks. 2. Jason Howell Fort Worth, Tx. 3. Mike Houseman Jr Des Moines, Ia. 4. Matt Richards Lincoln, Ne. 5. Ryan Hall Midlothian, Tx. 6. Brandon Hickman Lubbock, Tx. 7. Jesse (chip) Graham Lewisville, Tx. 8. John Ricketts Burleson, Tx. Andy Shouse Oklahoma City, Ok. 2. Mike Moore Des Moines, Ia. 3. Scott Lutz Jonestown, Pa. 4. Dusty Ballenger Harrisburg, Sd. 5. Doug Lovegrove Waverly, Ne. 6. Danny Nekolite O’neill, Ne. 7. Daren Bolac Moyock, Nc. DNS. Ken Duke Jr Selinsgrove, Pa.
Jason Martin Lincoln, Ne. 2. Adam Gullion Lincoln, Ne. 3. Steven Shebester 4. Kevin Ramey Fort Worth, Tx. 5. Claud Estes Godley, Tx. 6. Justin Fifield Mesquite, Tx. 7. Casey Burkham Combine, Tx. 8. Luke Cranston Holcomb, Ks. Jake Bubak Arvada, Co. 2. Ethan Barrow Bloomington, In. 3. Kaleb Johnson Sioux Falls, Sd. 4. Colin Smith Sheldon, Ia. 5. Clint Benson Papillion, Ne. 6. David Luckie 7. Jerald Harris Harrisonburg, Va. 8. Charlie Ware Hallieford, Va.
John Carney Lubbock, Tx. 2. Tyler Drueke Eagle, Ne. 3. Zachary Newlin Millerstown, Pa. 4. Robert Vetter Wolfe City, Tx. 5. Chad Wilson North Richland Hills, Tx. 6. Lucas Scherb Decatur, Tx. 7. Dwight Carter Lincoln, Ne. 8. Trevor Serbus Olivia, Mn.